DAVID LE/Staff photo. 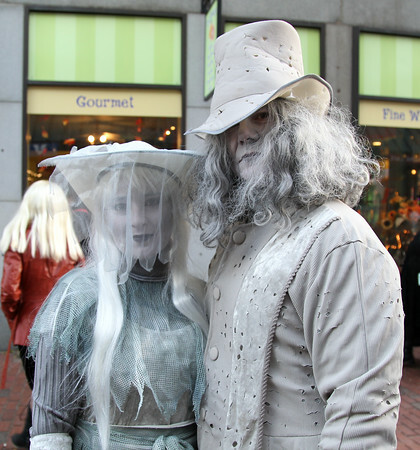 Irene and Dan Pimentel, of Rhode Island, dressed up as ghosts as they walked around the Essex Street Pedestrian Mall on Saturday afternoon. 10/31/15.